Happy Tuesday! 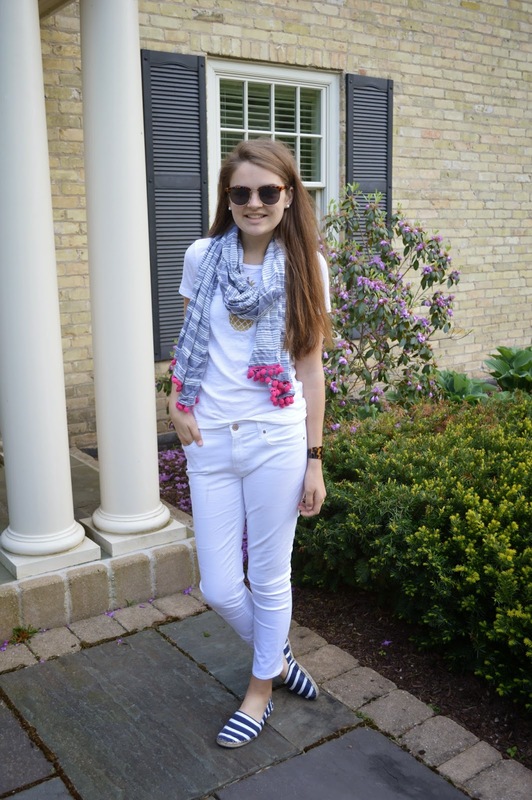 It's finally feels socially acceptable to wear all white in public (ha!) so I have definitely taking advantage of it. One big trend I've been noticing lately is tassel scarves, and when I bought this scarf at Target back in February, I had no idea that it would be such a huge thing for Summer. I've been getting so much wear out of this scarf and am dying to buy another to add to my collection. 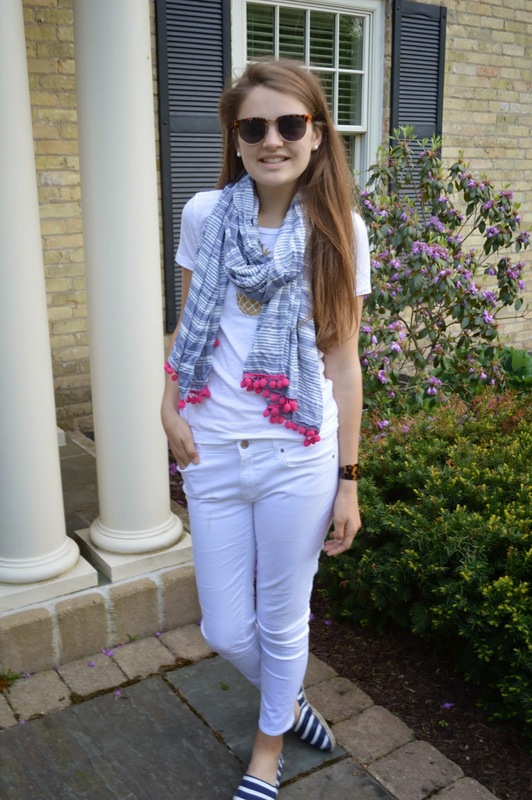 Tassel scarves are so perfect for warm weather - they can we dressed down with white shorts and tennies or worn with a maxi dress for a party. I've been wearing mine for more casual occasions and lately, my favorite way to wear it is with white jeans and my favorite striped espadrilles. It's outfits like these that are getting me so so excited for school to be done already! 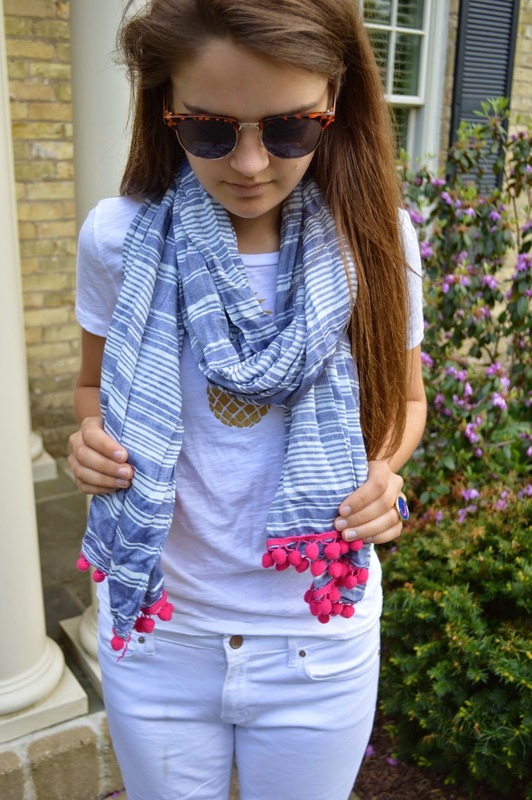 Are you a tassel scarf fan? Love your outfit! It is so perfect! I really love the white on white going on! The navy in your espadrilles and the gold on your shirt really bring it all together! Good luck on finals! You wouldn't believe how obsessed with those type of tassels I am! I love them so much! They are so cute! And this is such a cute look (and scarf! ).